Several words come to mind when thinking of the change from fall to winter: sweaters, fires, warm beverages, and comfort foods. What do all of those things have in common? They’re all cozy! 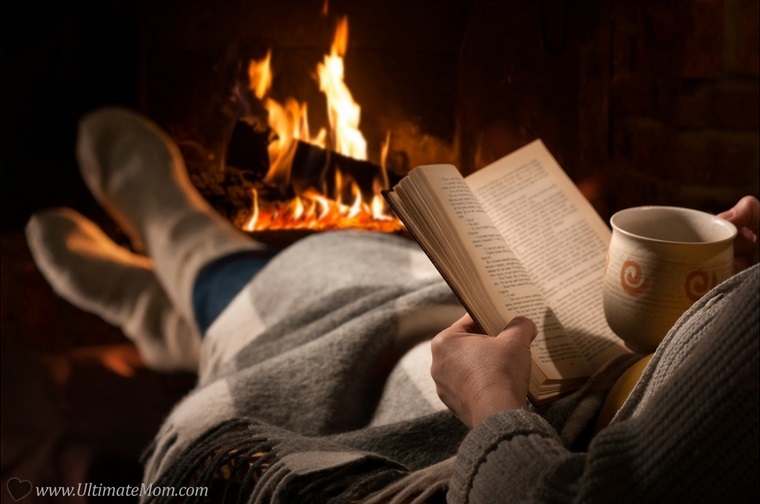 Coziness is the epitome of that fall-to-winter feeling, be it coming inside from the outside chill and curling up with a warm book, hunkering down underneath a blanket to watch a movie, or eating a nice fresh slice of pie. From foods, to comfy clothes, it’s all about warming up and calming down to combat the oncoming chill of winter snows. Biologically and historically, people have taken this time to prepare to ride out the harsh winters that used to be difficult and frozen. So when we look to our more cozy contemporary preferences, that’s actually harking back to a past time when people used to stock up on canned foods and save the harvest from the summer’s crop. But also, they used to prepare to get through that difficult time in a biological way–by gaining a little weight to keep them warm and store energy to power through the colder months while they wait for spring. Think about it, all of those things that make the season so cozy and comforting are things that aren’t particularly active, and the seasonal foods aren’t exactly the most diet-friendly meals. Curling up next to a fire? You’re more drawn to that not just because the outdoors are frigid and uninviting, but because throughout historically fall signaled that the work for the food-growing season was done, and staying warm was the new high priority. Warm autumnal spices like cardamom, cinnamon and nutmeg used to act as preservatives and were incorporated in foods to make them stay fresher for longer. Crusted pies were also a great way to preserve ingredients with an expiration date. People made hearty stews as a simple way to pack a lot of nutrition like canned vegetables and preserved meats into a single, lasting dish. So we’ve carried on those traditions and continue to find traces of those historical necessities in our contemporary life! We are big advocates for making things work, and do not believe that you have to cut out the coziness of fall just to maintain a particular lifestyle. Especially because stress is ever-present and indulging in those moments of relaxation and comfort that come with the season of cozy are so important to maintaining balance in the modern world! So, we have one suggestion that could help tackle it all, the calories, the inactivity and especially the stress of your daily life. Perhaps the biggest signal of fall is the high-calorie winter beverage. Pumpkin spiced lattes, hot cocoa, mulled wine: all cozy, all pretty heavy on sugar. But don’t worry, we’re about to introduce you to the cozy drink that also happens to be the most versatile and can work for nearly any diet: tea. We’re not talking about your average, run-of-the-mill teas, although those have their so many merits of their own. A nice cup of regular English Breakfast tea in the morning is a wonderful way to start the day and cut back on caffeine intake. Green tea has the proven benefit of aiding in weight loss and has a long history of being associated with good digestion and daily routine, particularly in Japanese culture. Sleepytime tea blends may be blended with actual magic–there’s nothing that quite compares to the fast and deep sleep after a cup of that potion. We we’re talking about coziness, folks, and true coziness requires a little more than a quick cup of hot leaf water. Attaining maximum cozy requires a certain amount of personality, a je ne sais quoi of something handmade or specifically crafted for you. Teas definitely have the ability to cater to any personality, and not just from the seemingly endless boxed varieties that you can find at your local grocery store. Picking out loose leaf teas or making blends of your own is a cathartic act that can help you unwind or give you an extra kick of energy to your day depending on what you want for that place and time. Much like fall foods, the soothing nature of ritual and routine in tea making also has a long and global history so it’s no wonder that this tradition has carried on to today. Taking time out of a day of hard work to make something personal, beneficial and healthy has always been valued and seen as an important part of a daily routine–no matter how small the act of self-care. 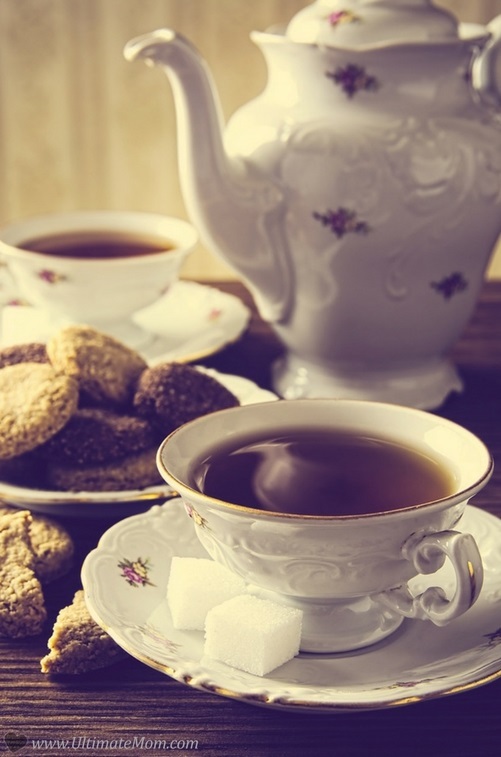 The English still celebrate their afternoon tea, and it’s a common joke that any stressful situation can be immediately remedied with a cup of tea and a calm demeanor. To learn more about the history of tea, make a cup, grab a your computer or tablet and check out the eBook The History of Tea by Helen Sabieri, which is part of the Edible Series by Reaktion Books. For those new into the world of loose-leaf teas, much like anything else it requires a little explanation. The basics are the tools before the product: a kettle, strainer, teapot, mug. Already there’s a great deal of versatility that depends on your preference. While a kettle is the most self-explanatory, the others require a little consideration. Teapots are great not just as a brewing utility, but also a way to brighten up a kitchen with a little color, or personalize a breakfast nook. However, some people find the teapot debatable, especially if they’re just brewing a cup for themselves in which case brewing directly into a mug is fine. The mug, like the blanket and sweater, is an iconic autumn object, a true symbol of coziness. As such, your tea mug should have some personal value to it, rather than that chipped mug you took home from a work conference ten years ago. An heirloom teacup from your grandmother, something special you discovered in a second-hand store or something you made yourself is much better. We love crafting, and there’s something special about reaching out for a cute mug with your name on it that you made just for yourself. From glass paint to sharpie markers, to pottery studios, there are endless ways to make your mug your own. Our preference is for glass paint and stencils which makes for a creative and fun afternoon or craft party. Find some tips and tricks for stenciled ceramic decoration over at Cherished Bliss. The real trick to the tea experience is the tea strainer, and picking one may be a little confusing for a newbie to the loose leaf world because there are so many kinds! Unlike pre-packaged teas, loose leaf tea needs a bag or container for emersion. We suggest a stainless steel tea-ball with a chain, which you can usually find for under five dollars from Bed, Bath and Beyond or your local Target. There are also tons of adorable tea straining options with a quirky twist, like this submersible Loch Ness monster from ModCloth. The strainer is used for submerging your tea, and the length of time that you leave your tea in your mug or teapot depends entirely on what kind of tea that you have, otherwise you’ll end up with no flavor or a harsh, heavy bitter liquid. Green tea is the lightest of these, and should be steeped for no more than 2.5 minutes. Green tea is made from the leaves of the tea plant, Camelia sinensis, and then delicately dried. Conversely, black tea is made from the same plant, but the leaves go through a withering and baking process that changes the flavor and the caffeine levels. Black tea should be seeped for 3 to 5 minutes. We’re big fans of the Camellia tea timer app that has pre-settings for every kind of tea. Then there are herbal teas, which are usually decaffeinated and steeped for 5 to 7 minutes. Herbal teas are herbs, flowers, fruits and plants that have been dried and can be steeped to extract flavor, or blended with green or black teas to produce a caffeinated, flavored tea with all of the added benefits. These can be bought individually or in specific blends from your local tea shop or health grocers. They are also easily found online: The Loose Leaf Tea Market is a great and inexpensive resource for the first time tea buyer. Teavana is also a great resource, that has pre-blended herbals that taste like everything from a summertime Bellini to peppermint chocolate. You can find pre-blended loose leaf teas or buy individual ingredients like dried ginger, apricot or the South African rooibos to mix and blend your own, and the possibilities are definitely endless. We suggest trying a number of pre-blended varieties and getting to know your own palate before attempting to blend your own. Every ingredient has an added benefit and unique flavors all their own. Peppermint teas are great if you have an upset stomach and chamomile is great for relaxation, but when the dry leaves are mixed before steeping, they create a calming tea with a lovely flavor profile. Adding candied ginger to black teas is perfect for a stamina boost on a seemingly endless workday afternoon. If you’re missing the pumpkin spice latte, try a chai tea: black tea blended with cardamom, clove and cinnamon as well as other spices that tastes just like the classic PSL without the added calories and sugars. A cultural tea with a long tradition, chai has many different blends and is often served with milk but not necessary. The act of actually making tea and sitting down to sip is immensely gratifying. Simply put a kettle on and while it’s boiling pick out a book or find a movie on Netflix. Add your loose tea to the strainer of your choice and place it in your personalized mug or adorable little teapot. Pour in the hot water and set a timer. While you wait, snuggle into your couch under your favorite blanket and settle in for the experience. When your timer goes off, remove the steeper and set it aside. Take a nice deep breath of the warm steam, blow the lip of your mug to cool it off and take your first sip. And there it is, maximum coziness achieved. Happy fall!